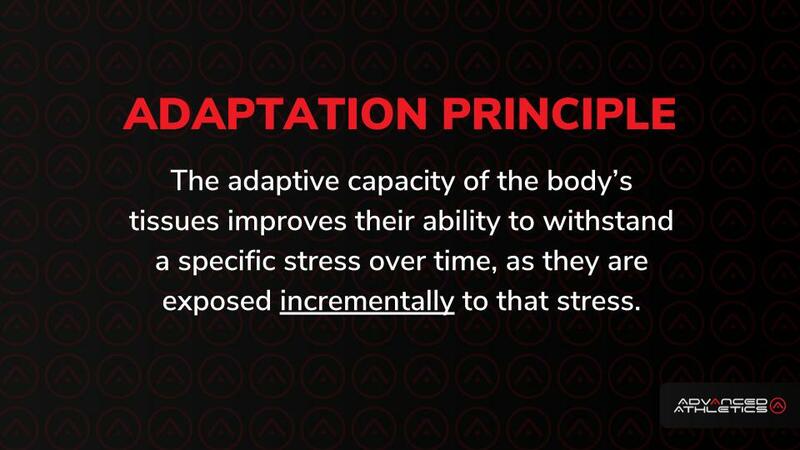 For example, when it’s time to make adjustments to your training program, how do you know which changes to make and to what degree? If you’re unsure, or miss a step altogether, then you’ll limit your potential to be an all-around-athlete. I want to help you have a better understanding of your options so that you can make the right choices for yourself. It’s starts with knowing when and why to make any change. And you can learn the factors you need to consider in my most recent two blogs (if you missed them, you’ll find the first post here and you’ll see the link to Part 2). Once you have a clear understanding of the factors involved, then you must decide how you’re going to stimulate change in your body. But first, you’ll need to dig a little deeper into your goals to know your viable options for change. That means you must get clear on the specific fitness qualities that need the most attention based on your chosen sport or activity. Defining the required fitness qualities comes from the results of your fitness testing. As well as your performance and structural (anatomical) goals. It’s your goals that determine your options for program manipulation. To be a competitive, all-around-athlete, you ideally need to check the box on each of the above fitness qualities. However, it’s not possible to use your training program to progress in all of the qualities at the same time. If you tried, you’d be multitasking, and become unfocused and counterproductive. Also, you’d never realize what 100% looks like with anything you do. Further, it’s likely that not all your goals will be in alignment. This means that some goals will have similar methods you’ll use to progress, while others will be a hindrance. For example, improving mobility can promote strength. While training for aerobic endurance would take away your ability to gain muscle. With this potential conflict in front of you, you must understand the interplay between your goals. So you can make the right changes at the right time. That’s why goal-alignment is so crucial to knowing your next move. It’s best to divide and conquer your goals using training blocks. Each block represents a period of time (~ 4 to 6 weeks). Within that, you would use the minimum effective dose (MED) of methods to progress towards your ONE main goal, and ONE supportive goal. All the while, you would apply the MED to maintain the other qualities that aren’t your priority at the time. After that block is complete, you’d move on to the next with a different goal-alignment focus. An example of this approach would be to follow a block dedicated to building muscle mass (hypertrophy) with power. Going forward, you alternate blocks so that you’re never more than four to six weeks away from important fitness qualities. To get the greatest benefit, you should map out your training blocks over an entire 12-month training cycle. So you can achieve more harmonious and consistent high-level performance for the long-term. This is what a sustainable formula looks like to become an Athlete For Life. In the next message, I lay out some of the powerful ways to change up your program. And what I base those changes on to drive results for my clients’ programs. Read it here.